The Bosmere all purpose garden cart is you new garden buddy. Cart is 35" high from the floor to the handle, 18" wide, and 14" deep. The lid adjusts up and down 15" from 19" inches up to 24" high. 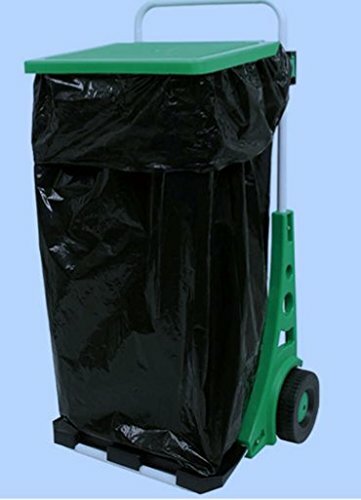 Easy to wheel around the yard for waste and trash collection.